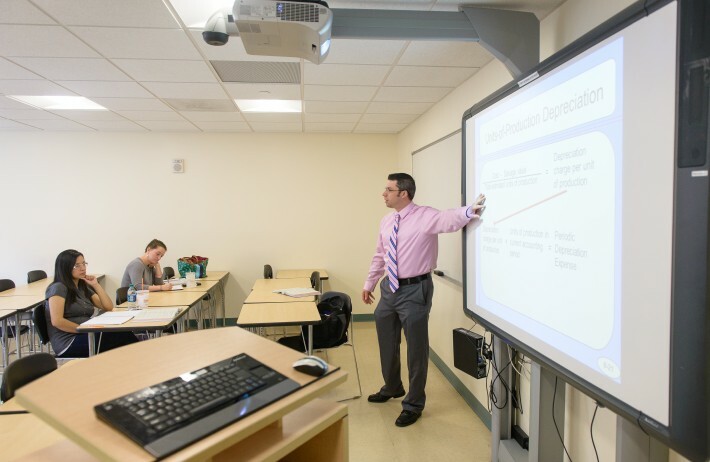 Classrooms are equipped with smartboard technology. 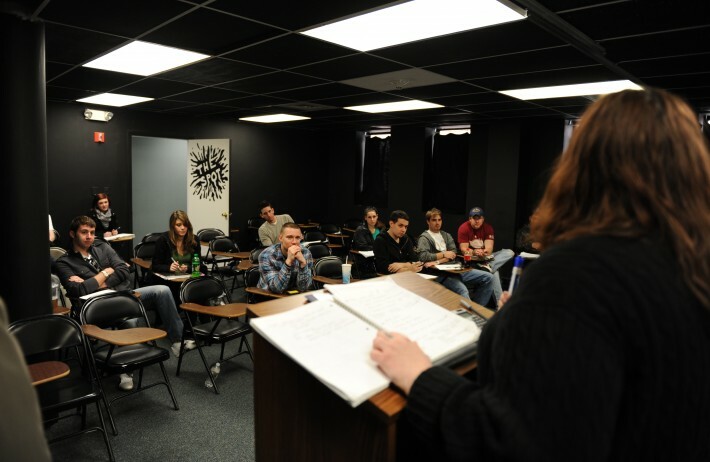 Located at 437 Boylston Street, The Spot doubles as an Entertainment Management classroom and Bay State College's student-run venue where course work is brought into the "real world" and students operate and manage their very own performance space. 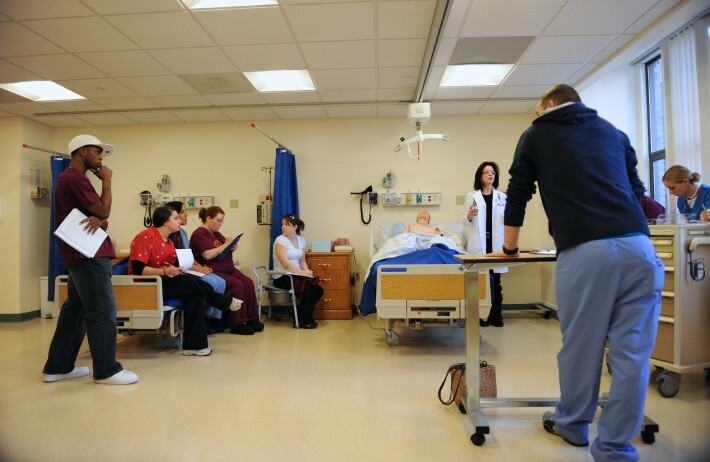 Bay State College's state-of-the-art, dedicated nursing suite complete with smart boards, high fidelity simulation room, and debriefing facility all adjacent to the college library give students the opportunity to learn in a facility that closely resembles their future clinical assignments. 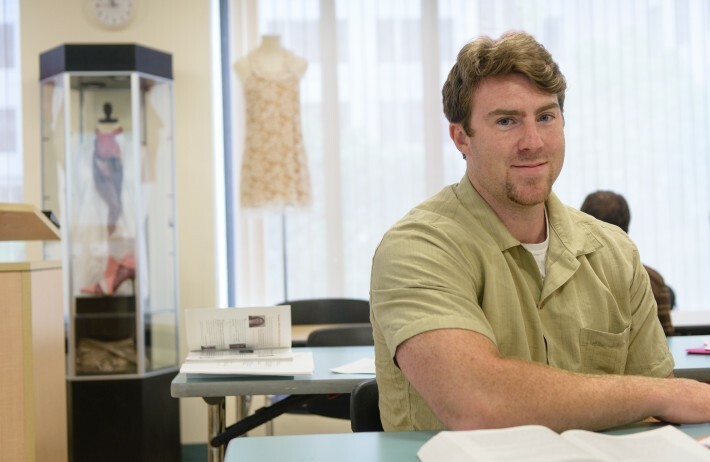 Our nursing program is innovative and comprehensive in every way. 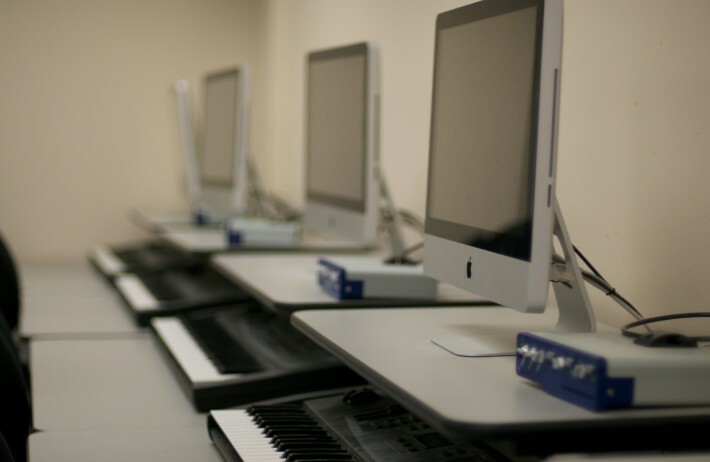 Bay State College's Audio Production classroom is complete with Apple computers and gives our Audio Production students the tools they will use upon graduation.